Yo! New feature on imjustcreative: Type Hero—where I will, on occasion, highlight a font/typeface that catches my eye. 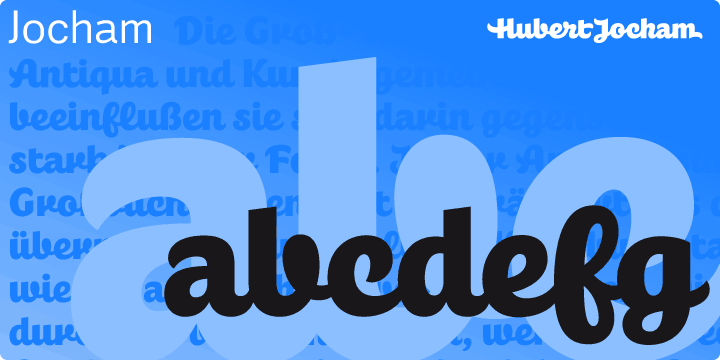 I am always coming across typefaces and fonts that are just perfect for logo designing. To launch Type Hero off in style here is the irresistible Jochan Family, designed by Hubert Jochan who started his own Type Foundy in 2007. These retro scripty style fonts are generally and adequately well provided for, but Jocham has that something I can’t quite put my finger on. By the way, Hubert based Jochan on his own logotype. 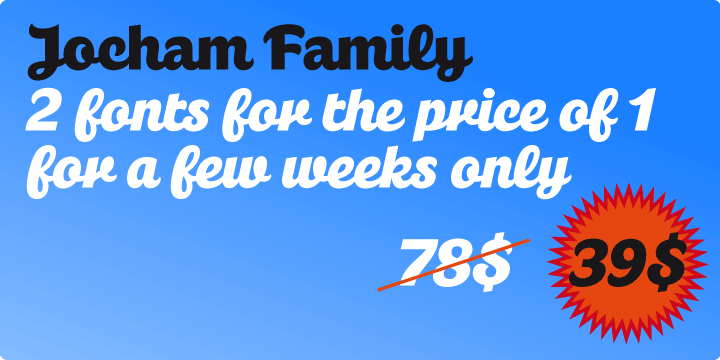 Jochan comes in regular and italic and you can download Jochan Family for a reduced price of $39, usually $78, via MyFonts.